On an 85-degree day, even with the windows cracked, your car’s temperature can skyrocket to 102 degrees in just 10 minutes. That can turn a convenience-store visit into a life-and-death struggle for a helpless pet. If you can’t take your pet inside with you as you run errands, the Humane Society of the U.S. recommends you leave it home. 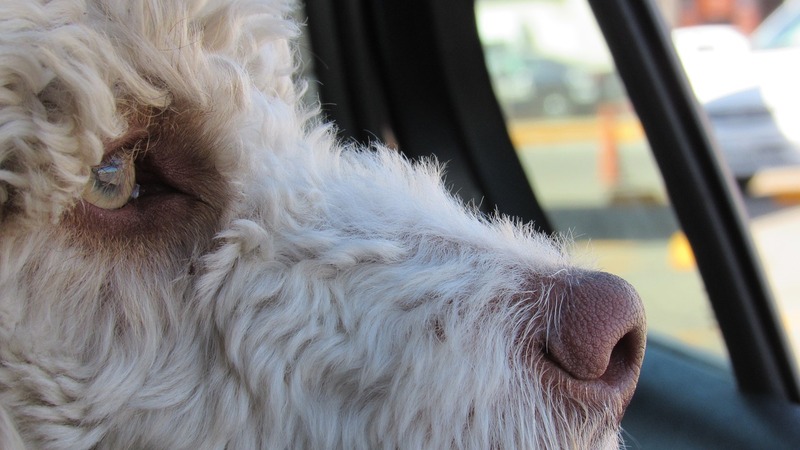 But what do you do if you see someone else’s pet locked in a hot car? The answer may not be quite as simple as your compassionate heart tells you. Breaking a window to rescue the pet could expose both you and the animal to serious injuries from broken glass, plus you may risk a bite from a distressed dog trying to “protect” its territory. Oregon just passed a Good Samaritan law that protects people from civil or criminal liability if they break a car window to rescue a child or pet – provided they’ve first called law enforcement and have a “good faith and reasonable belief” that danger is imminent. They also must remain on the scene until law enforcement arrives. Washington law also allows window-breaking, but protection from prosecution extends only to law enforcement or animal control officers. Write down the car’s make, model, and license plate number. Notify nearby businesses and ask them to make an announcement to alert the car’s owner. If there’s no response, call the non-emergency number of the local police or animal control and wait by the car until help arrives. If you feel you must break a window to rescue the pet immediately, focus on the corner of a side window just above the door lock (easier to break than the middle) using something pointed like a tire iron. Choose the window farthest away from the pet. Ideally, you’ll be able to break just enough glass to unlock the door (reaching in with your arm wrapped in cloth to protect it from the broken glass) rather than completely shattering it. And take one final step before you smash. Use your phone to video what’s happening and show the animal’s condition (heavy panting, unsteadiness, glazed eyes). Providing the context for your decision may make a difference to law enforcement officials if you become the one in the hot seat.